We know that you have many associations you can join; thank you for choosing SSWAM! Our new site will now allow you to update your subscriptions, track and pay your dues, find and network with other members, and more! Please note: SSWAM's membership cycle will still follow the academic school year, July 1 through June 30th, regardless of join or payment date. B1: Associate Membership - $25.00 (USD) Subscription period: 1 year, on: July 1st No automatically recurring payments Current social work students and other professionals who support the role of school social workers. These members do not have voting rights within the association. 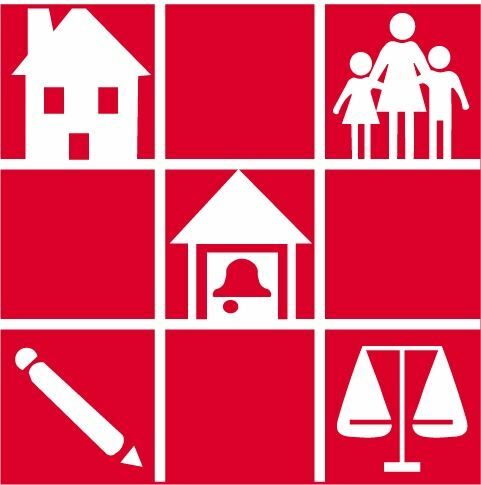 As our association continues to advocate for certification of school social workers by the Department of Education, your membership is more important than ever. 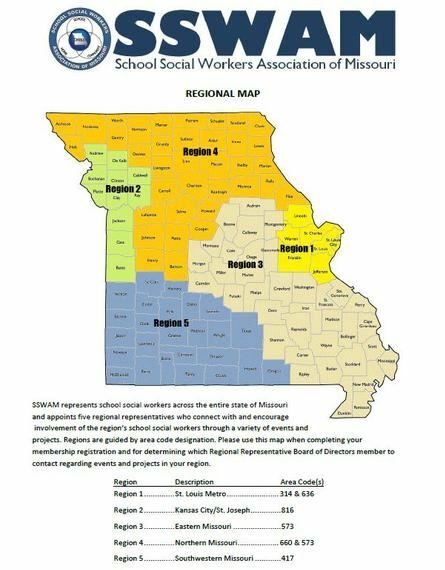 SSWAM represents school social workers across the entire state of Missouri and appoints five regional representatives who connect with and encourage involvement of the region’s school social workers through a variety of events and projects. Regions are generally guided by area code designation. Please use this map when completing your membership registration and for determining which Regional Representative Board of Directors member to contact regarding events and projects in your region. As an added benefit to your SSWAM membership, you can now receive a discounted membership to the School Social Work Association of America (SSWAA) by being a member of SSWAM. 1. Submit completed SSWAM application as directed on the membership form. 2. SSWAM will send you a discount code to enter on SSWAA's application. 3. Submit the completed SSWAA application form to SSWAA.